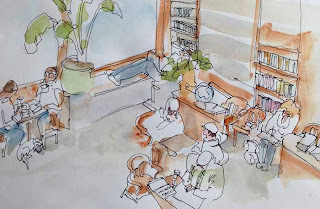 Urban Sketchers Seattle: Urban Sketchers: Preserving Seattle! 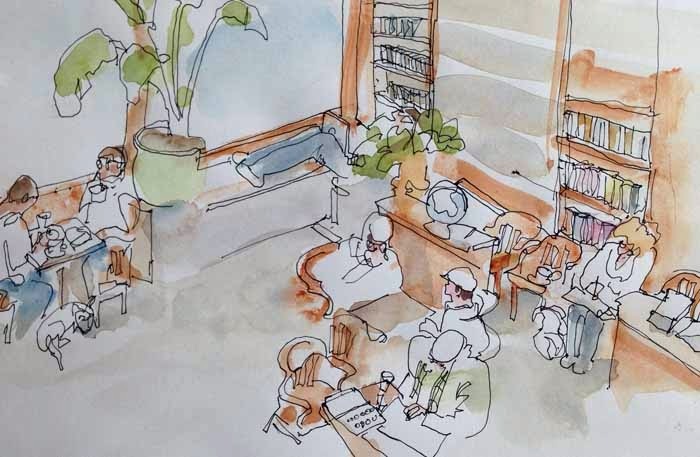 Found this sketch from January 2011, when we met here to sketch on another Sunday morning. I remember being up in the loft, getting this view alongside Frank B.
Elliott Bay Books in Pioneer Square, the Cold Storage building in Georgetown... I wonder how many sketches we have done just in these few years of places that no longer exist?